The Savic Aseo Cat Litter Tray is a stable and practical litter tray for cats, made with top quality materials. The robust tray slopes up towards the high back wall, so that even if your cat likes to lift their leg or dig, the floor surrounding the tray will stay clean. The Savic Aseo Cat Litter Tray has a removable protective border with an overhang on the inside of the tray, keeping litter inside the tray when your cat scratches and digs around. The lower height of the entrance means that small, ill or weak cats can acceΒ the tray without difficulty. 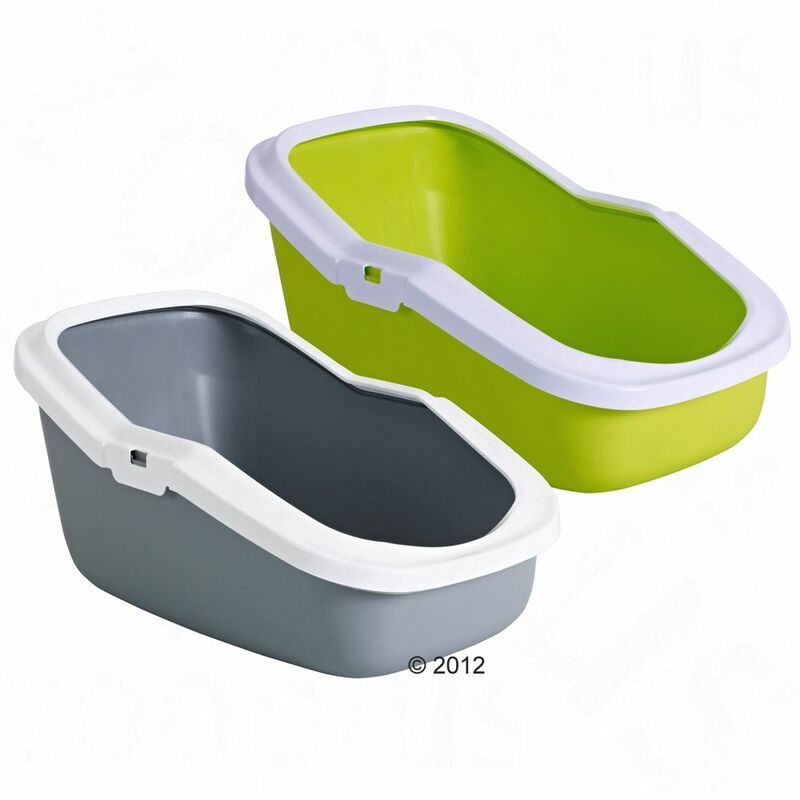 The Savic Aseo Cat Litter Tray with High Edge at a glance: Colour: light green or grey, with white border Extra high tray Leakproof Lower entrance Removable overhanging protective border Made in Belgium Dimensions: Total: 56 x 39 x 27. 5 cm Height of entrance approx. 11.5 cm (without border approx. 10.5 cm) Height of back wall approx. 27.5 cm (without border approx. 26 cm) Protective border overhang approx. 3 cm Sizing for Savic Bag it Up Litter Tray Bags - Maxi: Suitable for trays up to: 55 x 43 cm (L x W) Contents: 12 bags More information about Savic Bag it Up Litter Tray Bags can be found here: Savic Bag it Up Litter Tray Bags.